I have realised that there are many things that go unspoken on a blog…and I forget I often have readers who haven’t followed me since day one on this blogging journey. And some of you might have no idea what I actually do, have done in the past or how I got to this strange place of ‘doing my own thing’. 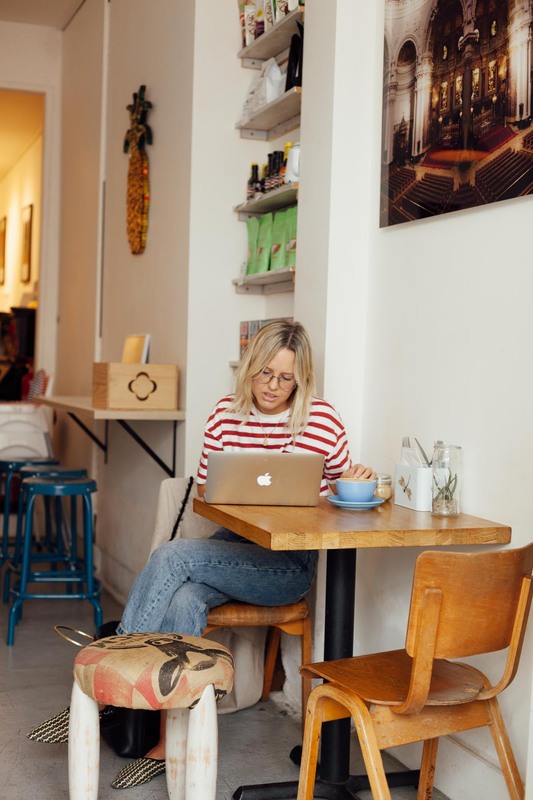 I read somewhere that Blogging and Vlogging were up there as one of the most sought after careers these days, which is still so strange to me, mainly because I never saw it as a career progression – and it didn’t even exist when I started working. But thought I’d share my story about how I actually got to where I am today and my journey that has lead me here…any other questions, let me know! I never studied Fashion. I couldn’t draw or design, I just liked it – so I decided if I was going to go to university for three years, I might as well study something I loved, regardless of whether it got me a job (I’ve never been very business savvy!). So I actually studied English Literature and Classical Civilisation and Literature at Birmingham – I loved it and am still obsessed with Greek and Roman culture today. But studying something like that I knew I had to rely on work experience whilst at university. In my final year I applied to tons of places and ended up doing a placement over the Christmas holidays at House of Fraser Press office and then at H&M over Easter. I remember my friends studying Economics and Maths thought I was mad working for free all over my holidays but it was just something you did in Fashion – and with parents as locksmiths, I didn’t really have any contacts who could help me. I suppose in lots of ways it filtered out anyone who wasn’t truly passionate about working in fashion, however, in hindsight I feel that unpaid placement breeds a certain type of privileged worker (I myself could afford to do it as my parents lived near London) – and this is what I love about Blogging and Vlogging – it has really opened up the fashion world to everyone (but more on that later). When I finished uni, I started doing work experience on magazines and ended up getting on really well at Company mag in 2004 (alas, it’s no more). They really threw you in at the deep end, I just walked into a cupboard (a large room we call the ‘fashion cupboard’ – not actually a cupboard) full of rails and rails of clothes and shoes all stacked up…the Fashion Assistant pointed to the phone, a contacts book and just told me everything needed to go back to where it was sent from. So I picked up that phone and ran that cupboard like my life depended on it – within days I was calling in for pages (my first was compiling a Kylie Minogue ‘Get Her Airport Look’ page) and going on shoots – I loved it and knew it was what I wanted to do. I was paid £12 a day. Whilst I was there, the girls introduced me to a PR agency Brower Lewis PR (alas, no more – you’ll see a pattern start to emerge here). 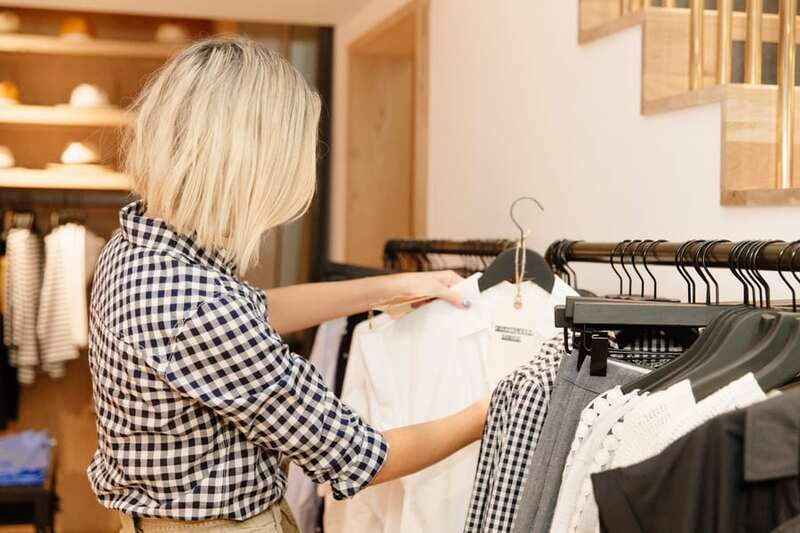 They were looking for someone to work as the In-House PR alongside them for the Notting Hill boutique Matches – I had never even been to Notting Hill and I remember wearing a peasant skirt, cowboy boots and one of those brown leather disc belts Sienna Miller was wearing at the time to my interview! I had never done PR before but they were looking for someone they could train and they asked me to start on a trial basis. I was working with brands like Balenciaga, Roland Mouret, Prada and Chloe and doing store appointments with journalists from Vogue, Sunday Times Style etc everyday (back then, stylists always did appointments for their shoots, as they weren’t working three jobs or also doing digital media!). I was paid £16,000 and thought I’d hit the jackpot. After a while I garnered more responsibility, and even ran the Diane Von Furstenberg website for a bit (they owned the UK franchise) – but I was commuting from my parents’ in Surrey so it was long days and after a while I started to miss the styling element of the job. I was sending out product to magazines and seeing beautiful pictures they were taking of the clothes in Bahamas and wishing it was me…so I handed my notice in 2006 to take some time off and rethink what I wanted to do. I had never had a gap year or anything, I went straight into work and felt I needed to regroup. So I booked a ticket to Europe and travelled around for 3 months on my own – it was one of the best things I ever did and I came back refreshed and revitalised. At this time, there was a Fashion Assistant job going at Red magazine…it was more of an entry level position but it was a magazine I wanted to work on and Nicola Rose, the Fashion & Creative Director, was someone whose shoots I really admired. 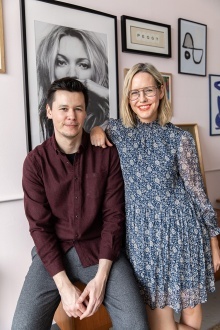 Luckily, they needed someone to freelance on the Fashion Desk who needed no training and could get stuck in and I went in at a moment’s notice and after 3 months of interviews and helping out on shoots I got the job. I was 25 and now on £17,000. I loved working at Red – I had so many amazing opportunities, from assisting on cover shoots in Barbados with Kelly Brook, to styling my own pages and eventually my own shoots for the magazine, I progressed to Senior Fashion Assistant, Junior Fashion Editor and eventually Style Editor. I would style my own main fashion 10 page shoots, Beauty shoots in the Caribbean and features shoots such as flying to LA to work with Juliette Lewis (one of my career highlights). A shoot I styled for Red with Gillian Anderson and Jamie Dornan, photographed by Jonty Davies. I worked late pretty much every night of my life, whether it was meeting tough deadlines, finalising shoots (all the best samples or model options would always come in last minute), attending work events or doing those dreaded carnets (any Fashion Assistant will know the pain of those customs forms!). But I loved my job and wanted to do it to the best of my ability, and sadly with working through a recession, everyone was working at least 2 jobs. So I thought, why not add another one to my belt?! I was late twenties now, could hardly afford to live in London on my salary (which was about £25,000 by now and my partner earnt less than me) and kept seeing a cycle on social media of fashion accounts all showing off the same Celine bag and photos from their holidays on yachts. My friend Laura set up her blog ‘Wearing It Today’ and she was really enjoying it (and has since set up her own successful website Wardrobe Icons), but I felt there was still a gap in the market for someone in the fashion industry wearing only High Street and cooking her own meals everyday for lunch. Not the chicest concept but it was real and it was me. I wanted to do it properly…so I planned and scheduled content and stuck to uploading every other day – this was before Instagram so there weren’t as many platforms to think about. I chose the name to evoke a sense of what the blog was about – sensible buys and saving on some things to afford others. It was never about penny pinching, but more about being realistic in this day and age. The word is more of a concept than a literal translation and I think it has actually become more than just a word now, more of a community. I’ve worked most of my adult life through a recession and wanted a blog that reflected that. The thing I love about blogging is that it has taken away a lot of the traditional hierachy that existed, especially in the fashion world. 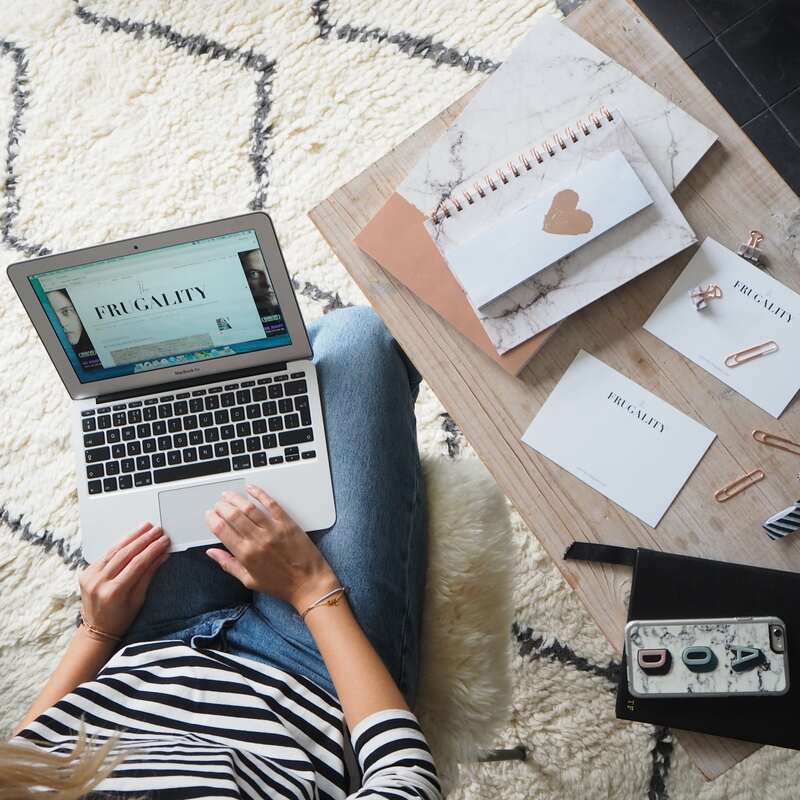 Anyone could set up a blog or an instagram and have a voice – and it’s this side of the industry I wanted to be a part of. In 2012 I set up a free Blogspot template and designed the layout myself (I actually only switched over to wordpress last year!). I spent every weekend uploading and shooting – it wasn’t very professional at first, photos in the alley beside our flat etc, because I lacked the time to spend on it – but I loved doing it and my Editor at Red at the time, Sam Baker (who now edits The Pool), was very supportive. I worked 7 days a week for about 3-4 years. And a lot of the time it was 15 hour days…if I wasn’t in the office until close, I was at home uploading a post for the following day. I didn’t make money on my blog, I did it for the joy and when Instagram started, there was a whole new level to add to the mix (especially as I started running Red magazine’s Instagram, too). It got to a point, though, where I burnt out. My job at Red had become all consuming, I was Editing the Shopping section, doing my own shoots for Beauty and Fashion, writing all the copy for all the fashion pages and fashion features, as well as working on online content. And then my blog. I was doing it all, but only at about 70%, and this wasn’t me. I hated not being able to give my all – I had to give something up and I didn’t want to lose my blog. It was a big change after so many years of being employed, but I’ve loved being Freelance. Over the last few years I have worked for magazines such as Conde Nast Traveller, Marie-Claire and Glamour. I’ve styled for brands like Boden, Debenhams, The White Company and Marks & Spencer. I’ve also become a bit of a jack of all trades, doing copywriting for brands like Moda in Pelle, prop styling for Debenhams, setting up Press Days for Very Exclusive and Social Media consulting for brands such as Mondaine and QVC! Freelance allows me to try my hand at a few different things, and figure out my new direction. And then my blog has been picked up by brands and sponsors and I have managed to have time to work on some amazing opportunities: hosting a store event with J Crew, talking at Stylist Live, working on sponsored projects with Next, Topshop and so many brands that I love. 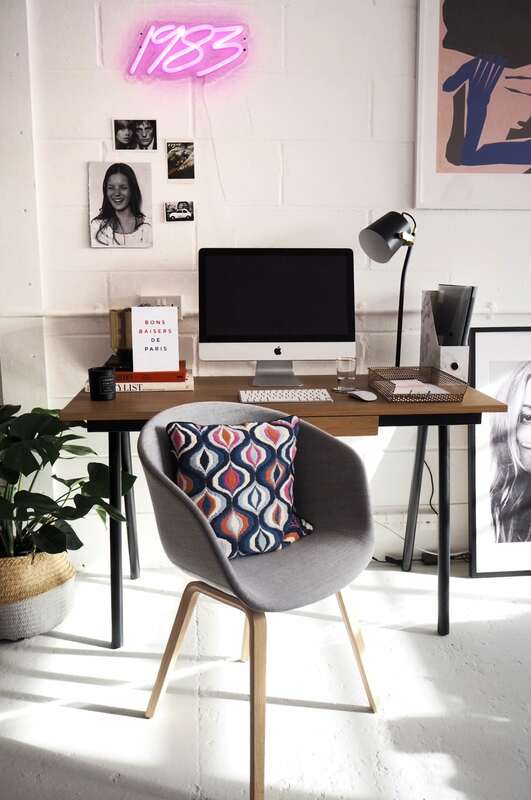 No day is ever the same and this year has been a big one for me in terms of renting an office space (read my post on how I tackled last year’s stress levels, here). Styling work for Marks & Spencer, Art Directed by Nicola Rose and photographed by Coliena Rentmeester (you can see more of my styling work here). So there it is, not exactly in a nutshell (!) – but a quick round-up of how it happens that I now get to do this crazy thing called Blogging as a full-time career. I am already seeing another shift, as I am easing up on the commercial styling this year (being heavily pregnant has already hindered that and having a child will change a lot in terms of childcare, as myself and my husband are hoping to spread it between us). When I used to think of my dream job, I never imagined I’d be doing this. But ‘this’ didn’t exist when I was starting out 15 years ago, so who knows what I’ll be doing in another 15 years…but so far, it’s going okay and I’m sticking with it. I know a lot of you have had similar changes in careers, a lot of my old colleagues are doing something completely different to when they started out – and it’s exciting to hear all the changes that today’s world can bring…! Really fascinating to read your story and how it brought you to where you are today. You have certainly put in the long hours and very hard work. Such a shame that many of those magazines have folded – I still find it such a joy to sit and read an actual magazine! Such an interesting read. I’m a scientist so the route into any job is always dependent on having done an specific course or degree. It’s easy become too specialised and a bit stuck! Oh yes – I always admired people that did more vocational degrees – they seemed to have so much more purpose than I did. People always asked us what we were going to do with our degree and I always found myself muttering something about ‘transferable skills’!! Love reading this Alex! Have followed you for a while and it’s been amazing to see but hearing the story behind it all is so interesting and what a huge amount of hard work you put into everything- super inspiring!!!! Great article and shows hard work pays off! Well hard work has paid off Alex and who knows what new and exciting opportunities lie ahead for you – apart from the life changing addition of your new arrival of course! Nice to read more about your background and experience and the very best of luck in 2018. I admire your fortitude in the face of all the changes you experienced. It takes a strength of character to not give it up. Wish you all the best. It takes guts to leave a good job to go freelance! Good for you Alex. Yours is one of the best blogs I read, I love both the style and interior post. I especially like seeing how your house is coming along, it’s like walking down a dark street and being able to see what other people’s interiors are like! And even though your style is different to mine, I still find inspiration in what you wear. I am from Argentina and I follow your blog and Instagram because it’s real. You have a wonderful job, exquisite style and you are very sweet!!! !